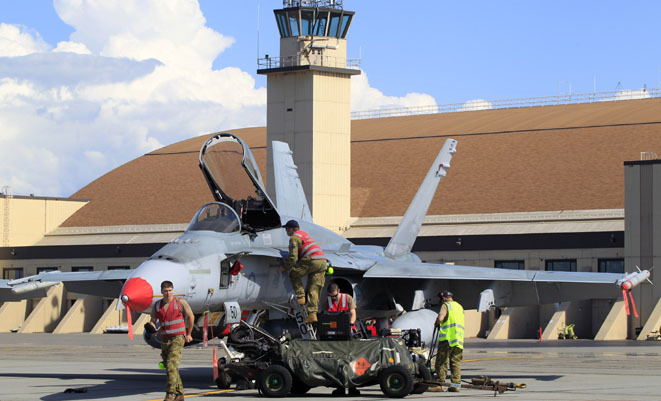 Up to seven RAAF F/A-18 Hornets have begun their participation in this year’s Exercise Red Flag Alaska 11-2, a multinational air combat training exercise designed to test the skills of pilots and ground crew personnel in a realistic, combat environment. 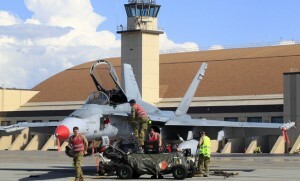 Based at Alaska’s Eielson Air Force Base, Red Flag Alaska will see Hornets from RAAF Williamtown’s 3SQN exposed to a large force mix of fighters, where they will perform counter air, precision strike and offensive air support in packages of up to 100 aircraft over the 67,000 square mile Joint Alaska Pacific Range Complex. The 11 day exercise involves aircraft and personnel from Japan, the Philippines, Singapore, Thailand and the United States, with the RAAF also sending a C-130J Hercules and Joint Terminal Attack Controllers (JTACs) to Red Flag Alaska. “Red Flag is one of the largest exercises Australia will participate in this year. It provides a realistic combat environment in which our Air Force personnel can showcase their extraordinary abilities in a coalition scenario,” CO 3SQN WGCDR Terry van Haren said.